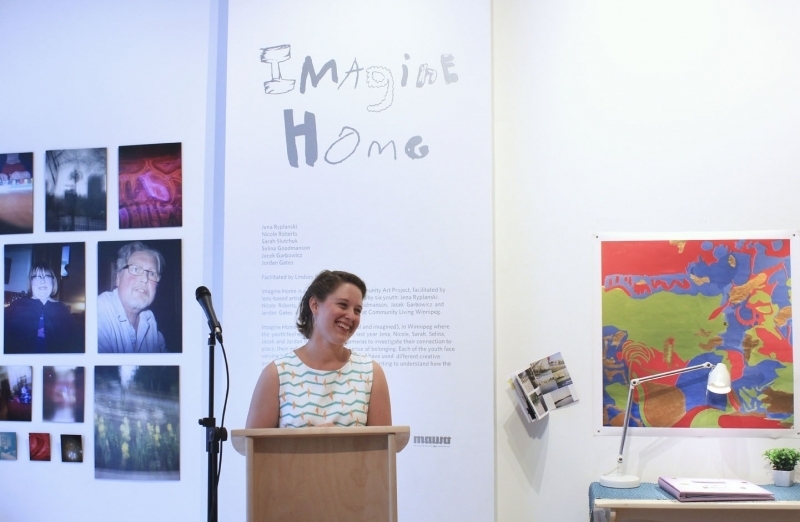 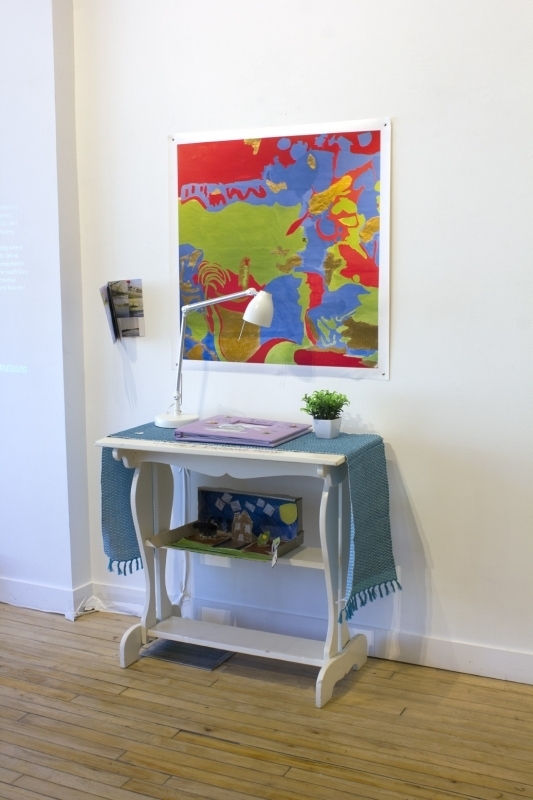 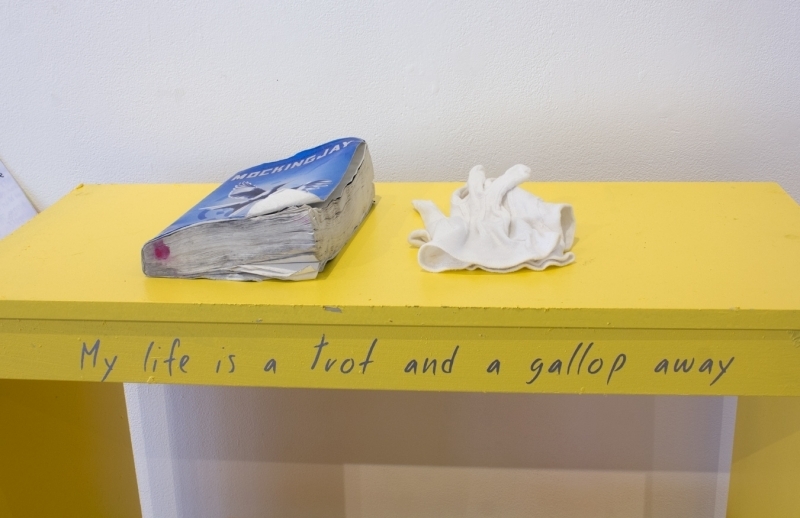 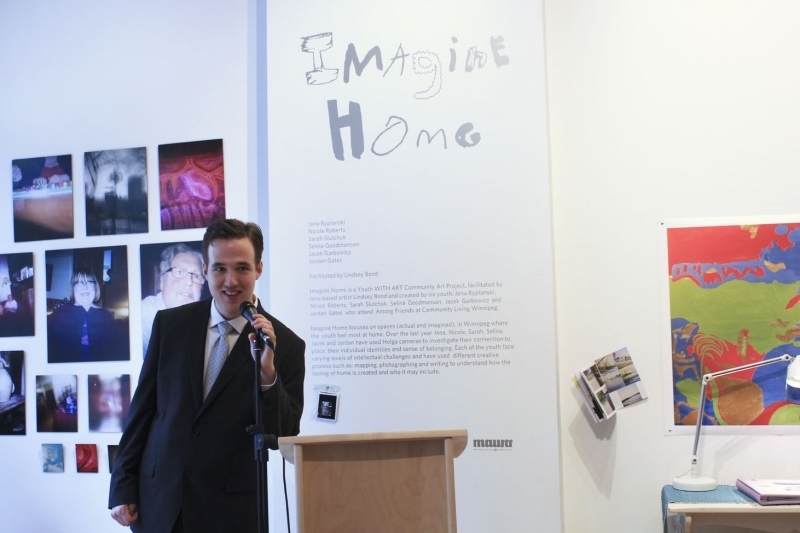 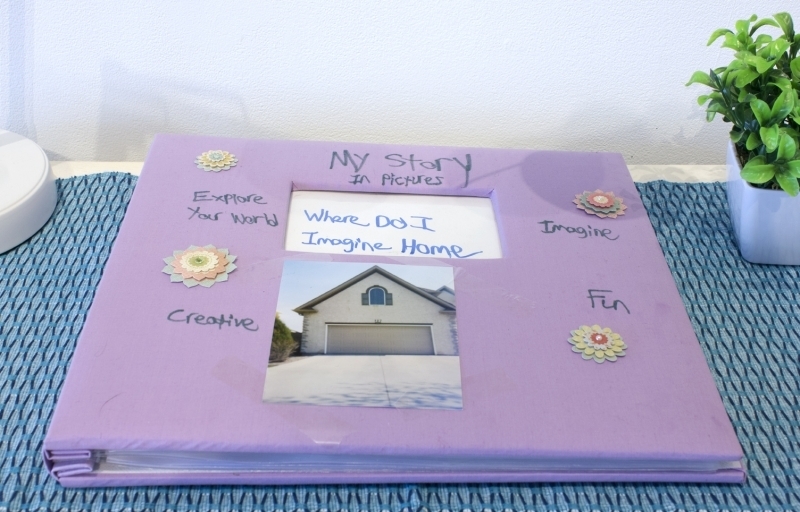 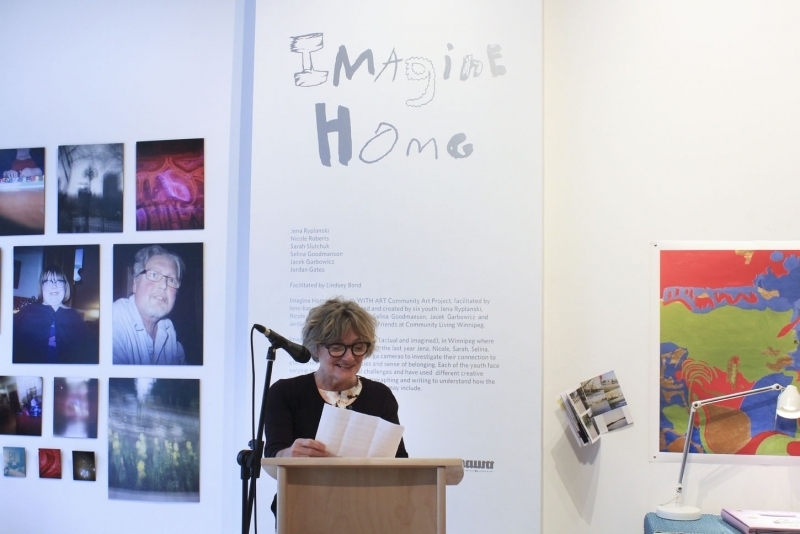 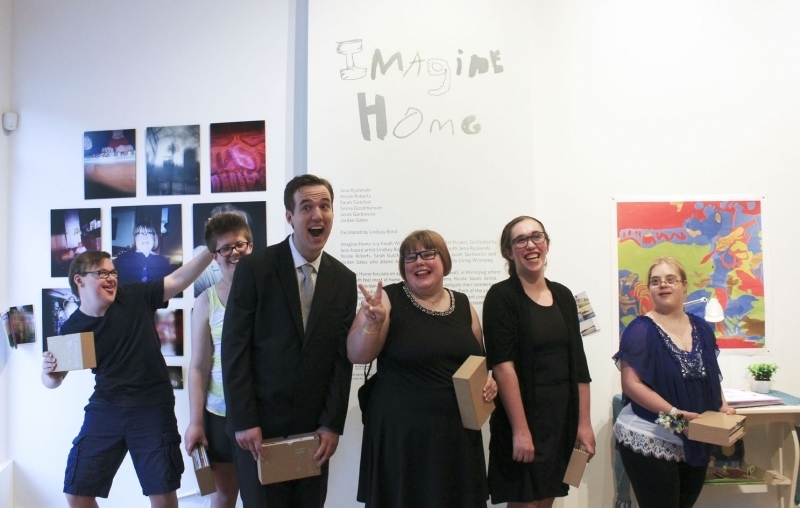 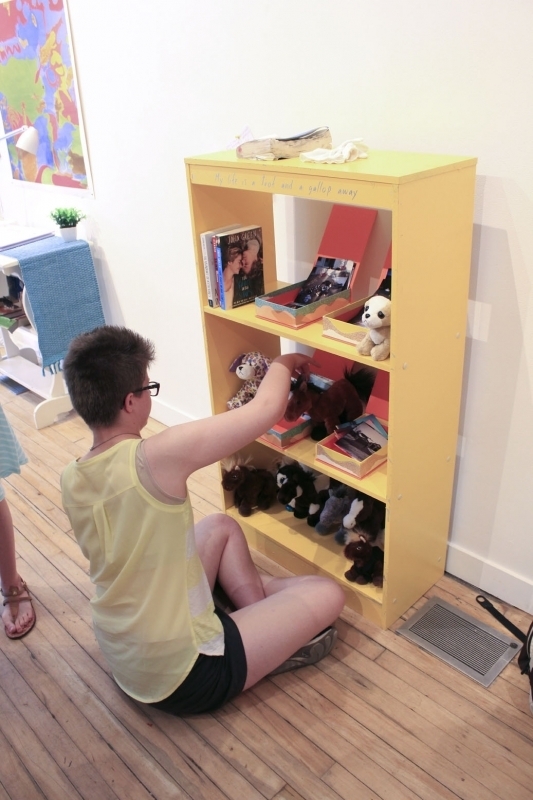 The Imagine Home exhibition and zine collection is the culmination a year-long Youth WITH ART community public art project, facilitated by lens-based artist Lindsey Bond and created by Sarah Slutchuk, Jena Ryplanski, Selina Goodmanson, Nicole Roberts, Jordan Gates and Jacek Garbowicz. 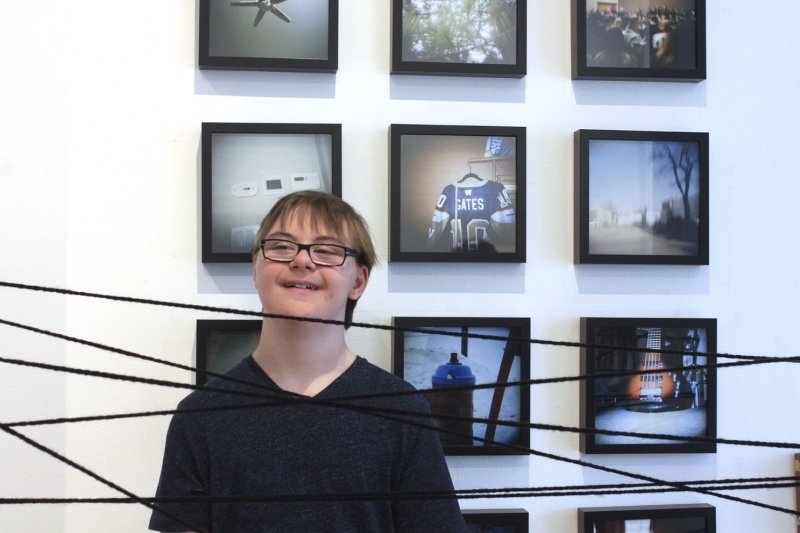 The diverse group of youth from across the city face varying levels of intellectual challenges and attend the Among Friends program at Community Living Winnipeg (now called Circle of Friends at Inclusion Winnipeg). 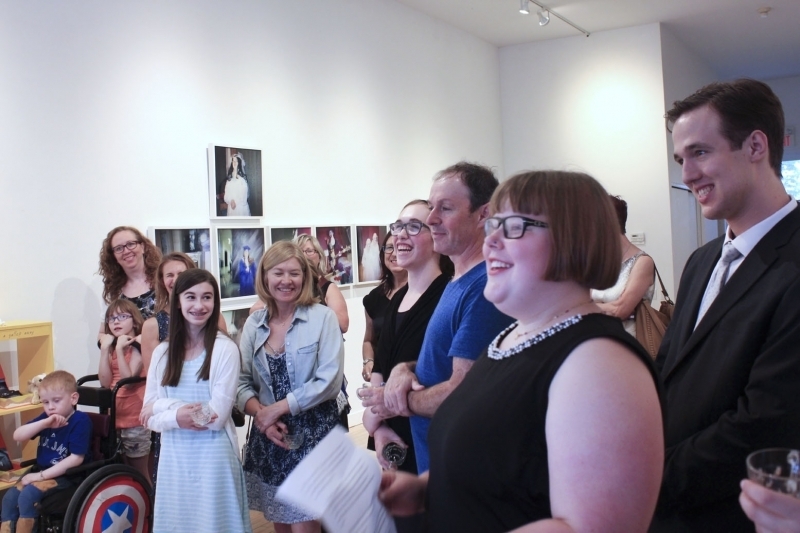 Throughout the year, they met with Lindsey on Friday nights for Art Mixers, where they visited galleries, met with artists, and discussed art and art-making. 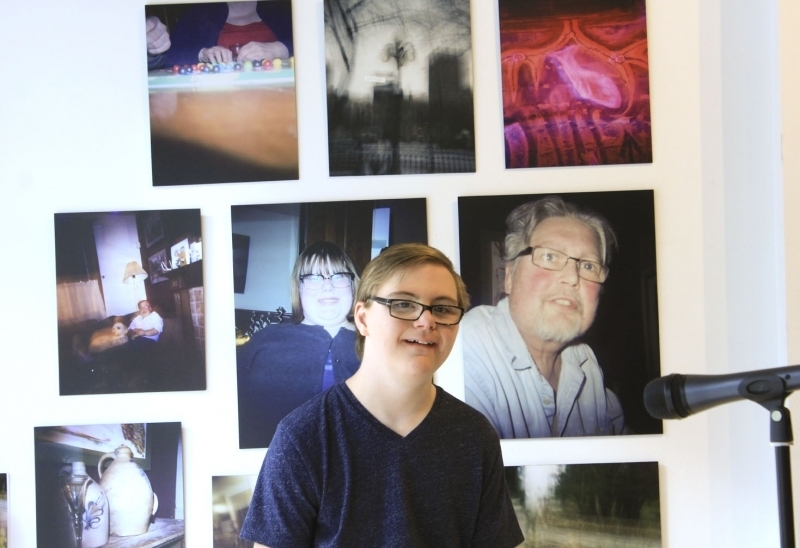 Lindsey introduced them to her work, showing them how she collects light, confronts time and reflects upon the world through photography. 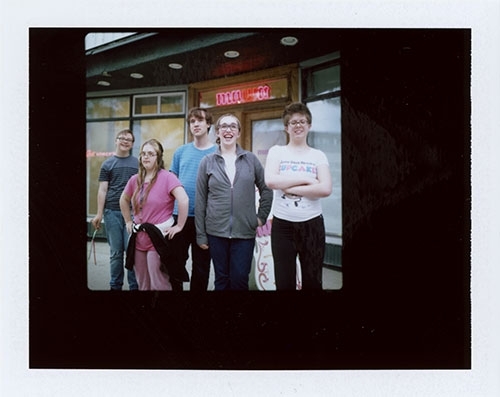 The group experimented with different photographic techniques including drawing with flashlights at night, taking portraits and turning a meeting room into a camera obscura. 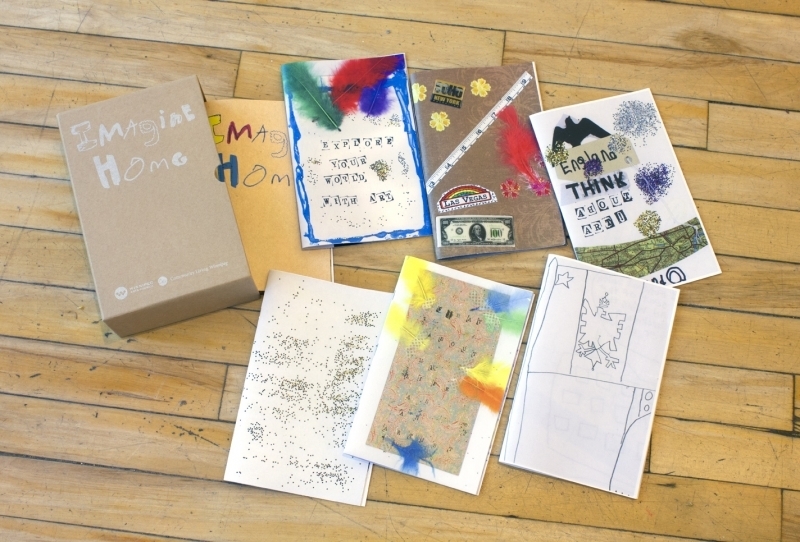 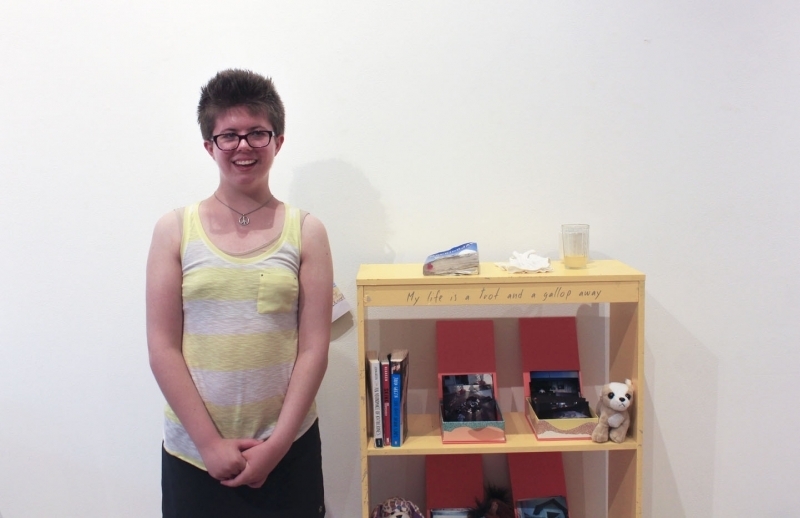 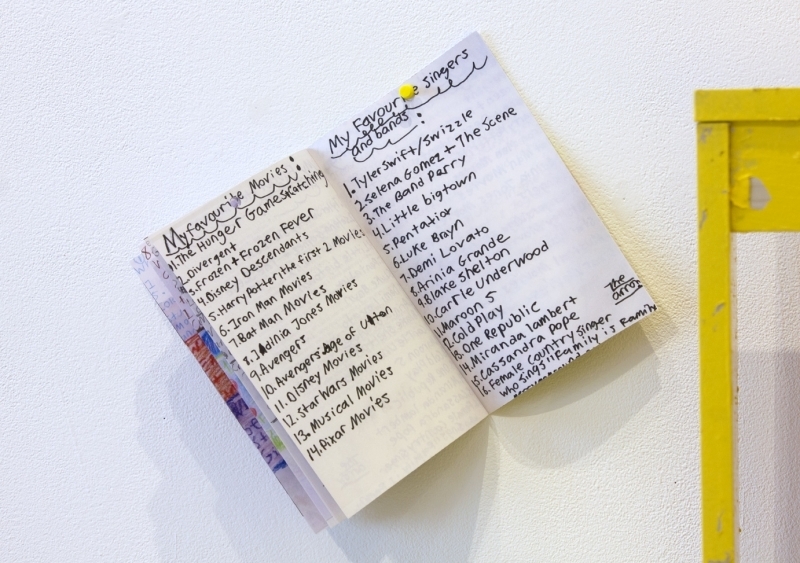 They mapped their experiences of Winnipeg and made zines to mark their time together. 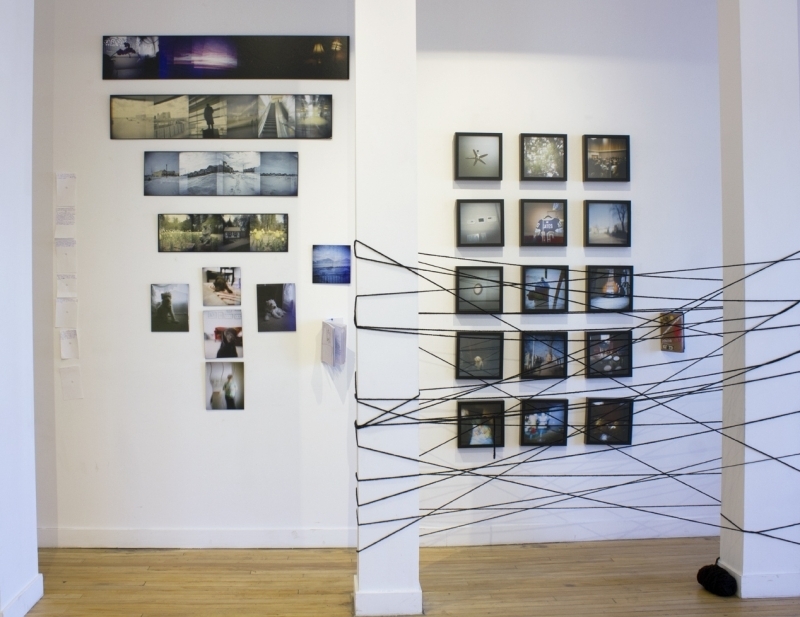 Ultimately, they chose Holga cameras and 120mm film to investigate their connection to place, their individual identities and sense of belonging. 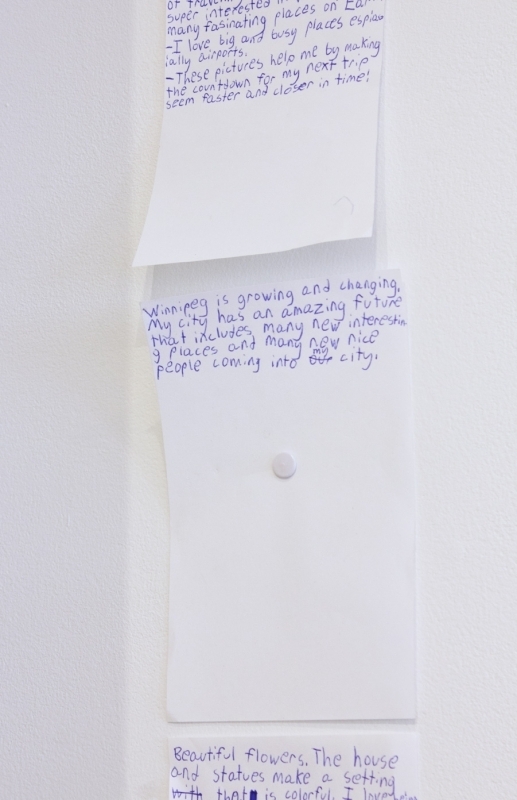 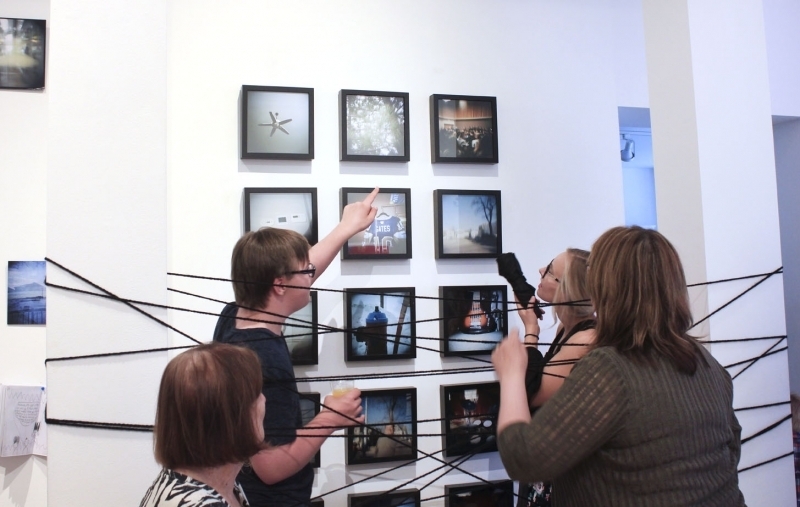 The youth reflected on each other’s work and processes, and organized their intuitively created images into categories and series to select what would be exhibited and how to best represent their ideas. 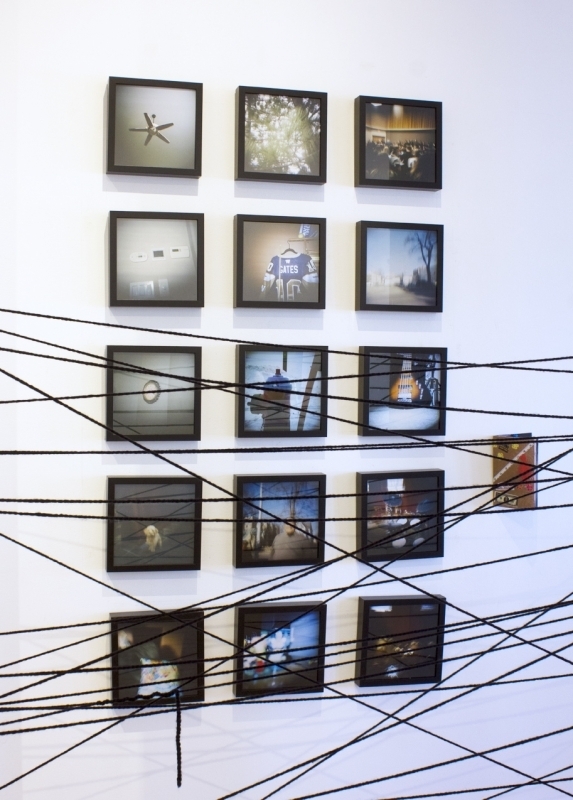 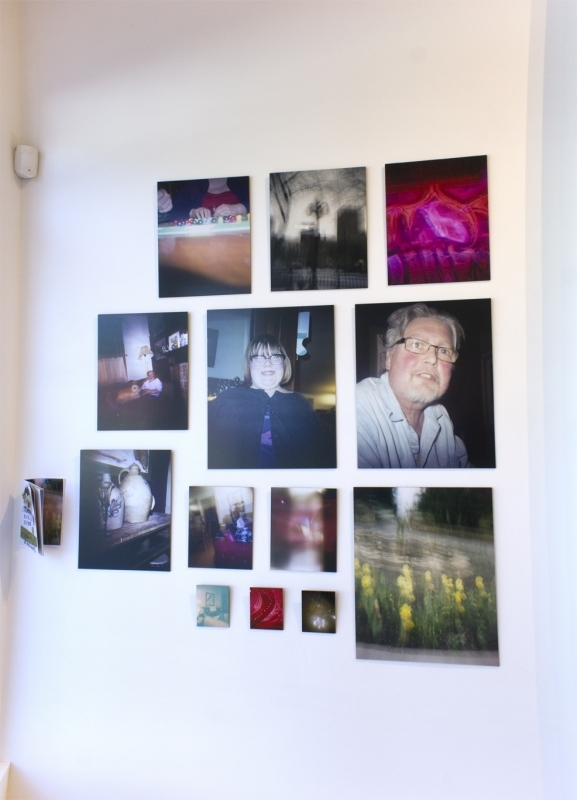 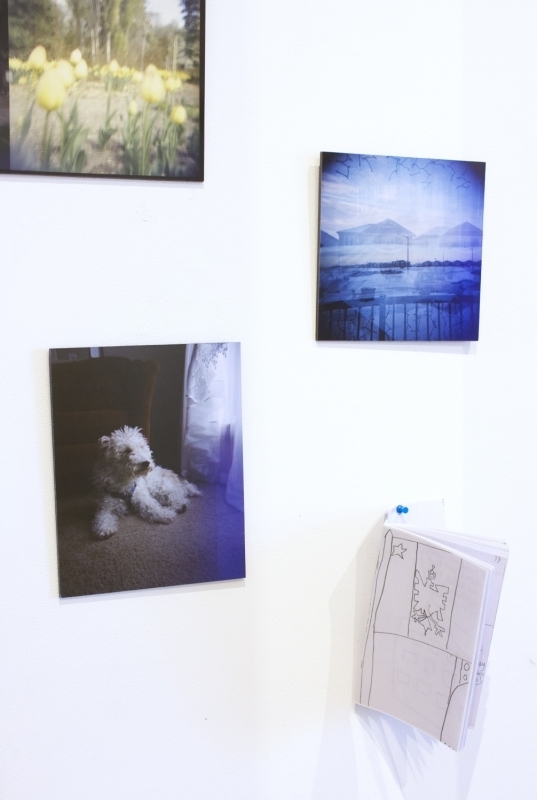 The result was a sophisticated installation of photographs that focused on how the feeling of home is created and who it may include and on spaces (actual and imagined) where the young artists feel most at home. 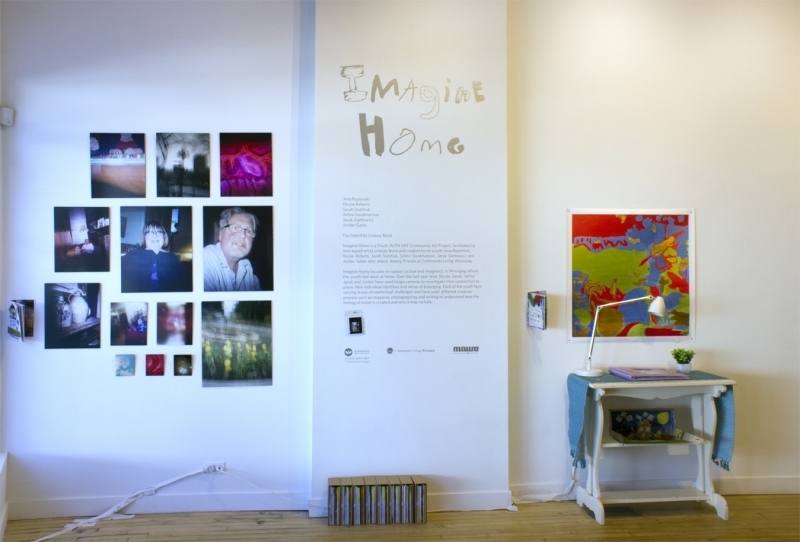 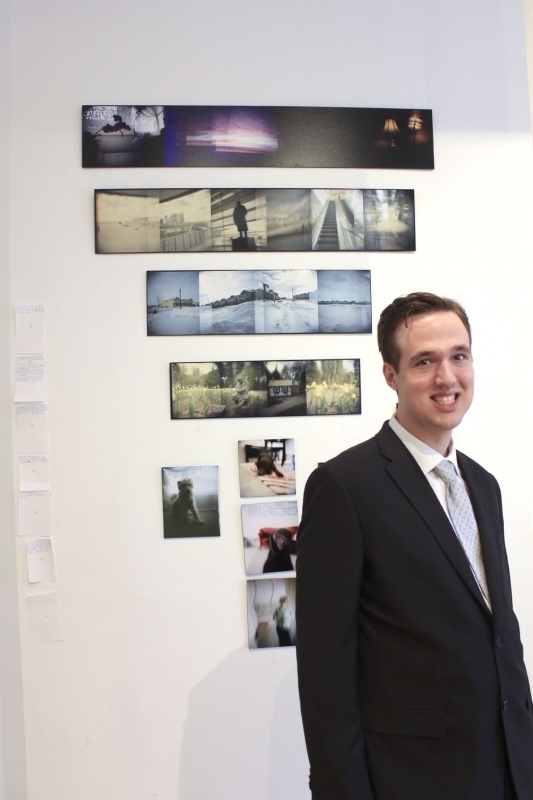 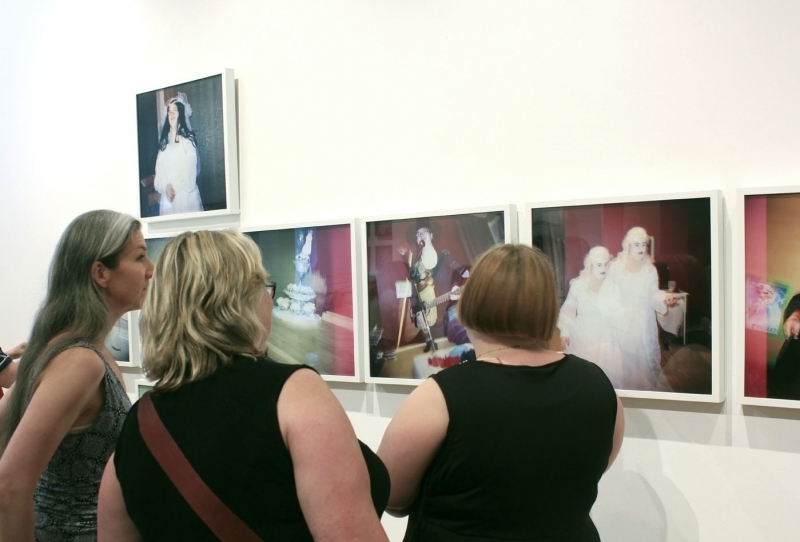 The Imagine Home exhibition of photographs and zines was installed June 18-25, 2016 at 611 Main Street. 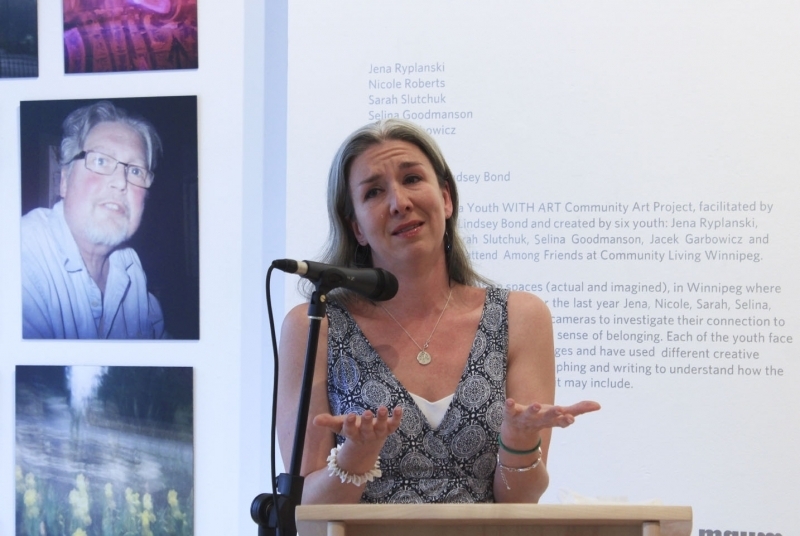 The project was celebrated at a public reception on June 24. 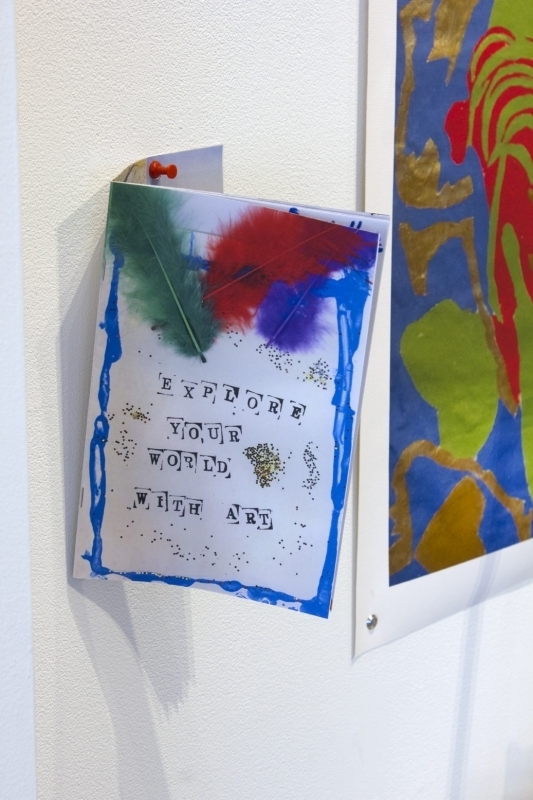 Throughout the project, they also created collaborative Art Mixer Zines to document their process. 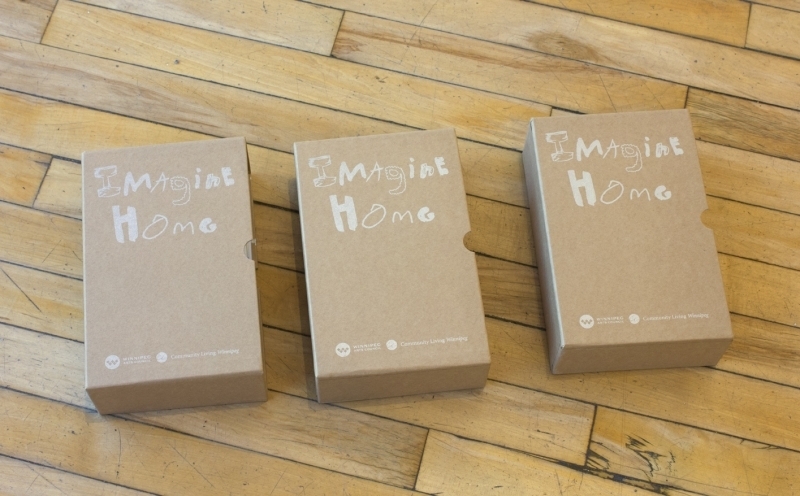 Imagine Home was created through the Youth WITH ART Program which matches professional artists with youth-engaged community groups to work on identity, issues, and shared goals through the development of a public art project. 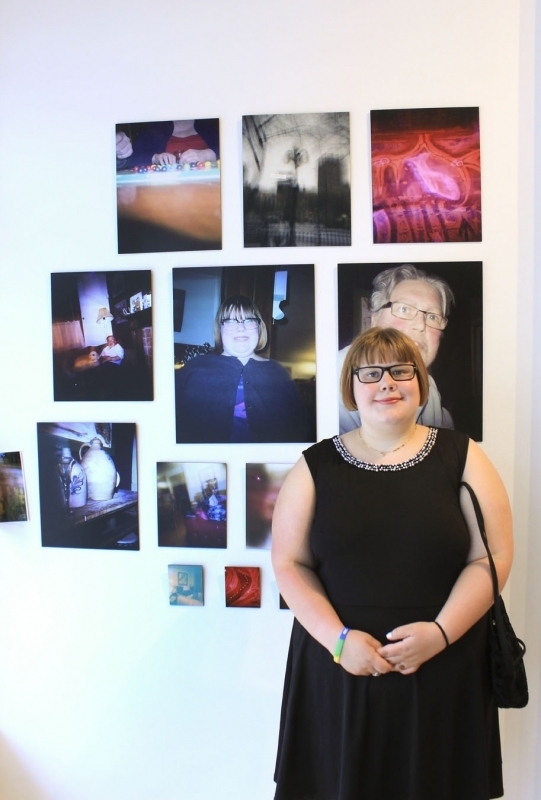 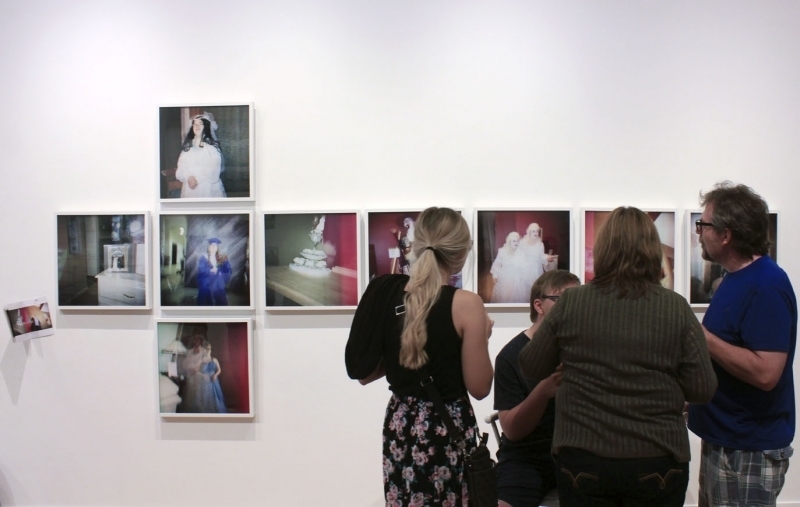 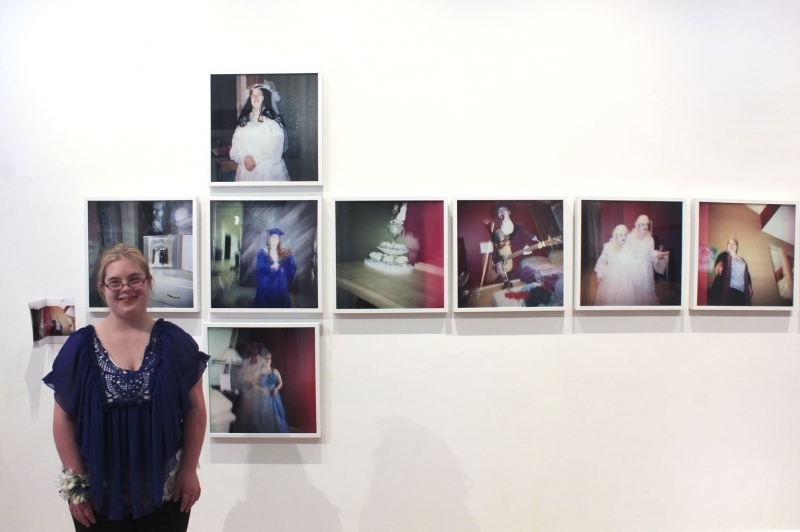 Lindsey Bond received her BFA in Photography from Emily Carr University of Art + Design and studied Visual Communications in Edinburgh, Scotland. 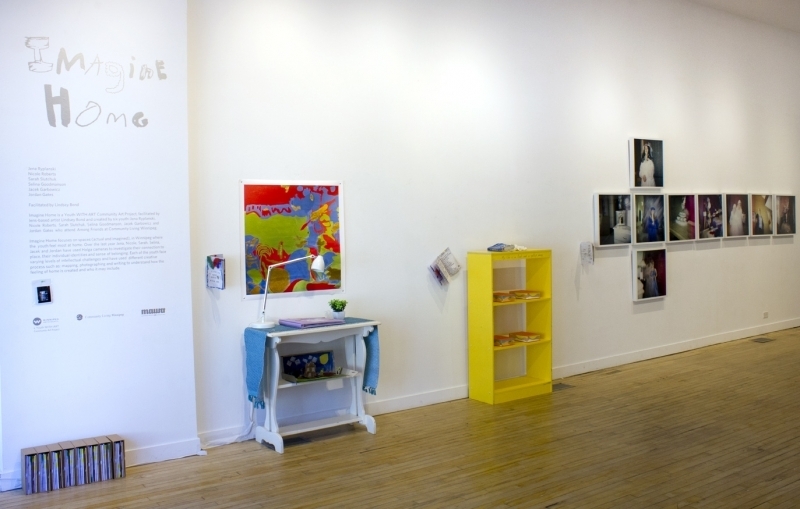 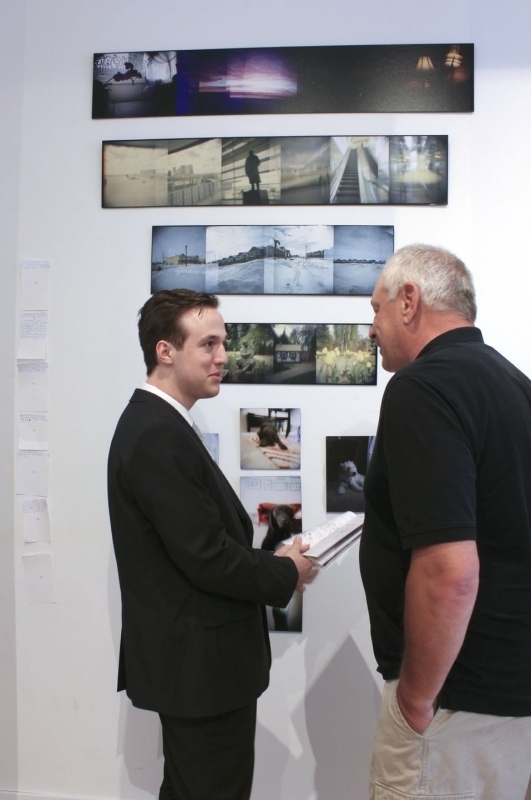 Bond’s work has been exhibited across Canada including: Gallery 44; offsite installation on King and Spadina, Toronto; Latitude 53 Contemporary Visual Culture; public transit installation in the Edmonton LRT, Harcourt House Arts Centre and The Richmond International Film + Media Arts Festival. 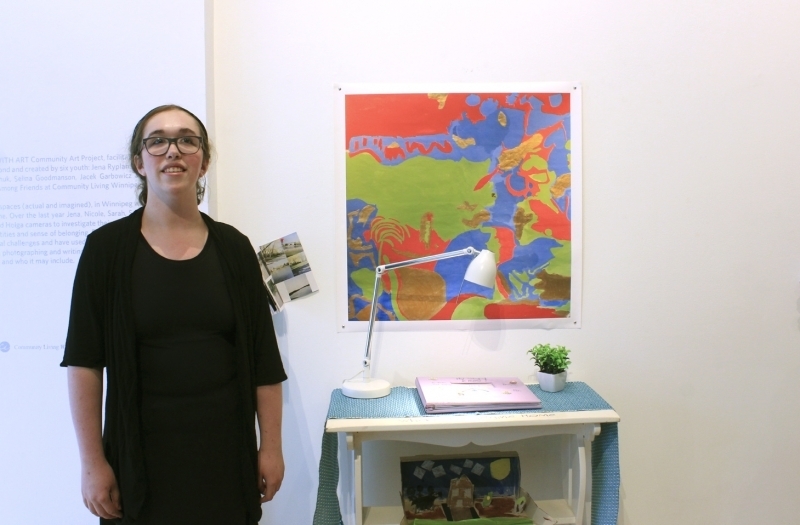 As an Art Educator, Lindsey has a multi-disciplinary approach to teaching that is firmly rooted in the belief that art exists in everyday life and everyone has the potential to think and be creative. 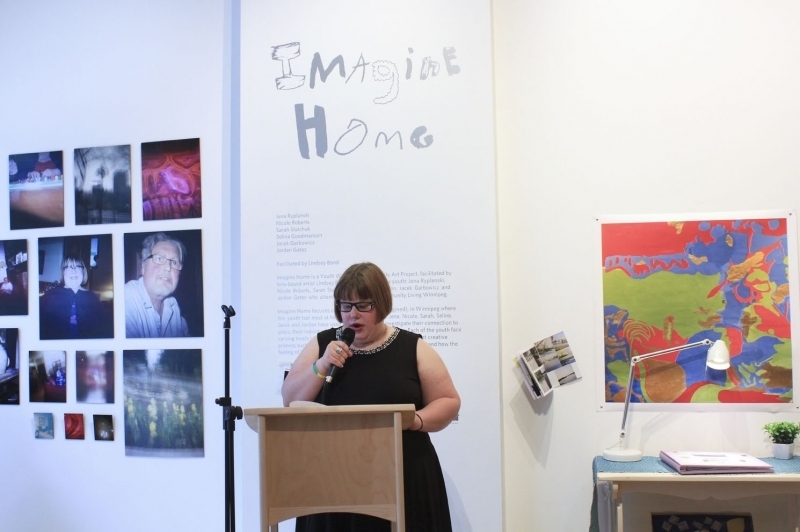 Community Living Winnipeg is dedicated to the enhancement of the lives and status of people who live with an intellectual disability and their families by promoting their full inclusion, support and acceptance in the community. 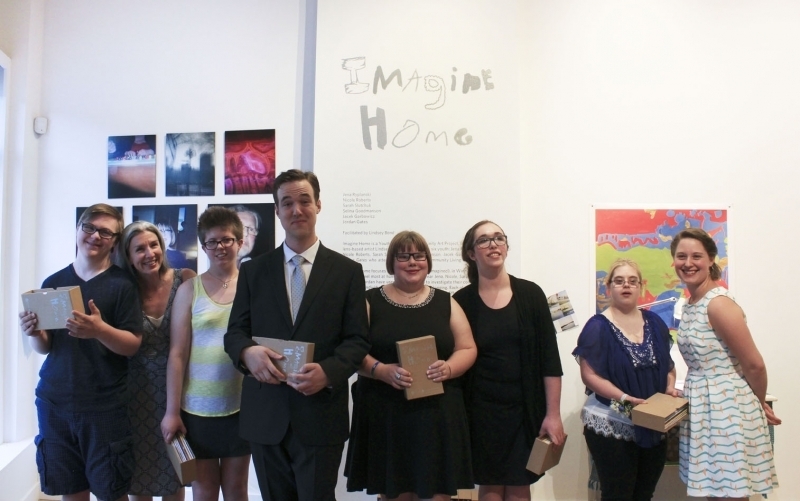 They are now called Inclusion Winnipeg. 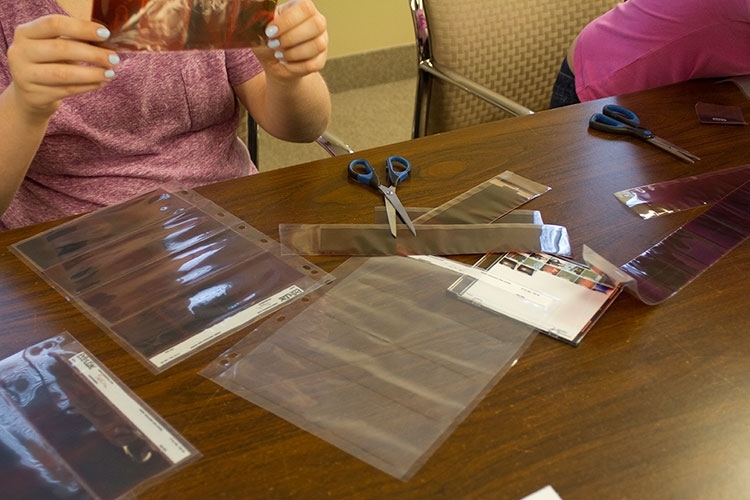 The Among Friends program, facilitated by Jolie Lesperance, is an opportunity for youth ages 13-21 to connect with others, develop community and build self-confidence through social opportunities and skill building workshops.